Prison Writings Volume II: The PKK and the Kurdish Question in the 21st Century, Abdullah Ocalan. March 2011. Prison Writings Volume III: Roadmap to negotiations, Abdullah Ocalan. January 2012. TAORT Kurdistan also wrote this article, Democratic Autonomy in Rojava, following a 2-month visit to Rojava. Janet Biehl, Bookchin, Ocalan and the Dialectics of Democracy (Paper given at the conference Challenging Capitalist Modernity–Alternative Concepts and the Kurdish Quest, which took place 3–5 February 2012 in Hamburg University. Alexander Kolokotronis delves into the theoretical underpinnings of Democratic Autonomy, in The No State Solution: Institutionalizing Libertarian Socialism in Kurdistan. This article by Rafael Taylor published in August 2014, The new PKK: unleashing a social revolution in Kurdistan, is a useful exploration of Ocalan’s ideas and the theory and practice of democratic autonomy in Rojava. Michael Knapp explains how the cooperative and democratic economic model being developed in Rojava offers possible emancipation from both capitalist and feudal systems of exploitation. A conference was held in Hamburg in April 2015 called Dissecting Capitalist Modernity, which brought together scholars and activists from across the world to unpack contemporary capitalism and discuss alternatives, like the ones presented by Ocalan and the Kurdish movement. Participants included International Initiative’s Havin Gunesser, scholar Dilar Dirik, Prof. David Graeber, PYD co-chair Asya Abdullah, MP Selma Irnak, Dr Radha D’Souza, and prominent Marxist geographer Prof David Harvey. The conference included sessions on democratic autonomy as well as lessons from around the world, such as Mexico and Venezuela. The papers and videos are available on the dedicated conference website. The Berghof Foundation recently published a report by Executive Member of the KNK, Adem Uzun, who was himself imprisoned on invented charges, called Living Freedom: The Evolution of the Kurdish Conflict in Turkey and the Efforts to Resolve It. A joint KNK and CENI – Kurdish Women’s Office for Peace dossier, called Stop the political genocide and femicide against the Kurds in Turkey! 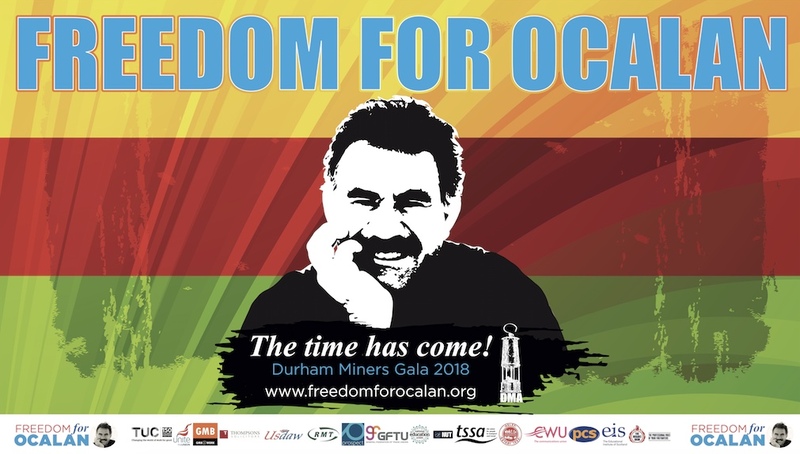 Freedom for Abdullah Ocalan!, was published in February 2012 and gives a useful account of Turkey’s AKP government’s continued criminalization of Kurdish activists; the violence of the state against women and the Kurdish women’s movement’s approach to combatting it; cross border military attacks; and the role and significance of Ocalan. VIDEO: Havin Guneser, Constructive and Peaceful Solution to the Kurdish Question in Turkey of the Conference on the Kurdish Question in Turkey (Paper given at the conference The Kurdish Question in Turkey, which took place at Queen University, Belfast on 17 April 2013. Interview with Bese Hozat, Murat Karayılan and Cemal Bayık on the solution process, reproduced from ANF News, July 2013. In an interview originally published in ANF in January 2013, KCK Executive Council President Murat Karaylian, speaks about the newest initiative for dialogue between the Kurdish movement and the Turkish government, which was announced in the days before the interview: Karayılan: Dialogue is important but there also needs to be a policy for resolution. Marlies Casier and Joost Jongerden, Understanding today’s Kurdish movement: Leftist heritage, martyrdom, democracy and gender, in European Journal of Turkish Studies. Yvo Fitzherbert writes about the politics of the Kurdish language in Turkey. 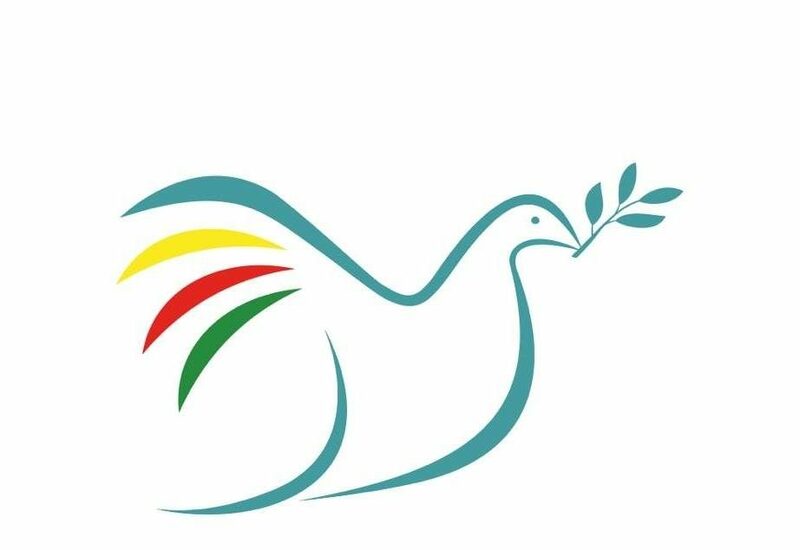 VIDEO: Peace in Kurdistan Campaign’s public event, Turkey, Peace talks and the PKK: Freedom and Justice for the Kurds, including speakers Ozlem Galip, Michael Gunter, Melanie Gingell and more. Turkey, peace talks and the PKK, Freedom and Justice for the Kurds from Saman Gareeb on Vimeo. On of the main demands of the Kurdish movement in the peace process is to remove the PKK from Turkish and international terrorism lists. The Delist the PKK campaign has been going on for over a year and our appeal continues to attract signatories. Here you can find articles related to the listing of the PKK. The Campaign Against Criminalising Communities (CAMPACC), which campaigns to repeal the anti-terror law in the UK, has long advocated the delisting of the PKK. You can read their briefing on how their listing criminalises the Kurdish community in the UK here: The UK ban on the PKK: Persecuting the Kurds. An interview with Zubeyir Aydar, The role of EU and US in Kurdish-Turkish conflict. This article by Vicki Sentas, Violence in Britain: how the war on terror criminalises ordinary people, looks at the effects of PKK’s continued listing on the Kurdish community in the UK. In an ongoing 10-part series for the Kurdish Question called Surveillance, Targeting And The Criminalisation Of Kurds In The UK, author Desmond Fernandes analyses how security services and counterterrorism agencies have targeted the Kurdish community in London over the years. 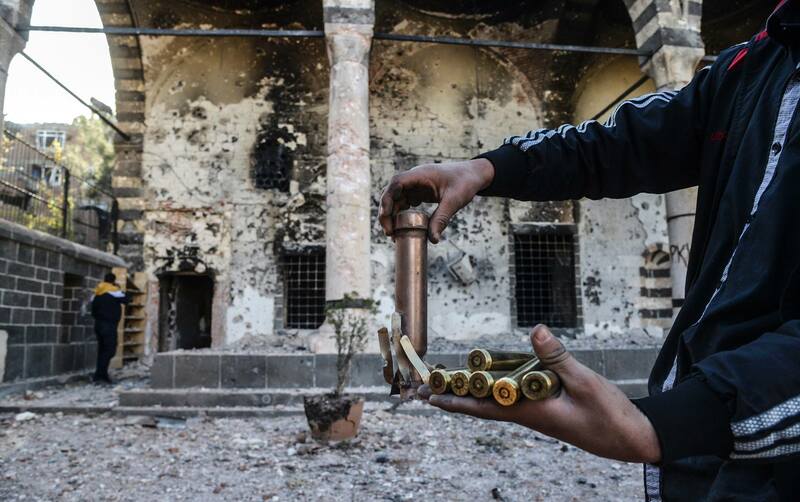 Part III: The Kurds and ‘Others’: ‘Easy’ and ‘Convenient’ Targets? Part VI: Is The UK Government’s Recent “Guidance” To The PYD A Cause For Concern? TEV-DEM (Tevgera Civaka Demokratîk /Movement for a Democratic Society, Rojava/Northern Syria), the umbrella body of the administrations of Rojava, released an important document called The Project of a Democratic Syria, in which they lay out a proposal for the peaceful resolution of conflict Syria and a new political vision for the country as a whole. A new book was published in March 2015 by Strangers in a Tangled Wilderness , entitled A Small Key Can Open A Large Door: The Rojava Revolution. The introduction to that book has been made available as an online zine and is an ideal one-stop-guide for people who want to know how the revolution in Rojava came about. It is available for download as a pdf. Kurdistan National Congress (KNK) Information File, published May 2014: Canton Based Democratic Autonomy of Rojava: A Transformation Process From Dictatorship to Democracy. The Democratic Autonomous Administration of Rojava released a peace proposal for ending the conflict in Syria in May 2014, called Kurdish initiative for a democratic Syria. The founding document of the Democratic Autonomous Administration of Rojava, Charter of the Social Contract, Rojava Cantons, 29 January 2014. Norman Paech, Emeritus Professor of Human Rights and former foreign policy spokesman for Die Linke, breaks down Turkey’s hypocritical approach to Syria and it own Kurdish opposition movements in In the Glasshouse. David Morgan’s articles for Live Encounters, The Mirage of ISIS and The struggle against ISIS in historical perspective are both excellent reviews of regional and global political dynamics following the rise of ISIS in Iraq and Syria. Dilar Dirik, The ‘other’ Kurds fighting the Islamic State, published in Al Jazeera at the height of the Kobane resistance, asks why the ‘other’ Kurds of Syria (and their counterparts in Turkey) are still labeled as terrorists even while their superiority fighting ISIS became widely acknowledged. Yvo Fitzherbert excellent reporting from the region shows how Ocalan’s ideas influenced the Rojava revolution and questions Turkey’s disruptive policies towards the Kurds. His later article, published in February 2015, delves into how Turkey’s unquestioning support for the Syrian opposition is effecting the Syrian refugees it is hosting. VIDEO: BBC News documentary, Syria’s Secret Revolution, released in November 2014, goes behind the front line fighting in Kobane to look at the social revolution taking place across Rojava. Delegations have visited Rojava in recent months to offer solidarity to the struggle, find out more about what is happening and raise awareness of the revolution back in Europe. Janet Biehl took part in one such delegation organised by Civaka Azad and wrote this report on her return, Impressions of Rojava: A report of the Revolution, as well as providing further and more detailed eye-witness accounts of democratic autonomy in action. The whole group also published a collective statement in which they report that genuine democratic structures have been built in Rojava, which they believe can show a new way forward for Syria and the Middle East. For anyone questioning whether the revolution is Rojava is genuine, David Graeber, anthropologist and political activist who took part in the delegation, answered the question clearly on his return. Peace in Kurdistan Campaign has also organised delegations to the region, and published several of the delegate’s reports once they returned. Zaher Aarif travelled to North Kurdistan in November 2014 to find out more about the social revolution sweeping the region. He wrote about his visit for Anarkismo, where he describes how Kurdish institutions in the south of Turkey are operating autonomously in order to deal with the refugee crisis and continued attacks on the Kurdish people north and south of the border, just like in Rojava. Zaher notes that the social revolution taking place has come from local organisation of ordinary people on the ground. Following the announcement on 26 January 2015 that Kobane had been liberated of ISIS troops, Trevor Rayne wrote that the Victory in Kobane was down to the will, determination, organisation and skill of the YPG and YPJ troops, and called for their affiliated organisation, the PKK, to be delisted. Dilar Dirik explains why Kobane did not fall, and how the vision of the Kurdish movement led the resistance of Kobane to success. Here is an article by Johannes de Jong in the Stream on the current state of Rojava, April 2016. A New , Free Middle East Is Rising from the Ashes of Syria’s Civil War. Why is Geneva Ignoring Them? Freelance photojournalist Joey L. spent some time with guerrilla fighters in the PKK and YPG during a visit to Iraqi and Syrian Kurdistan in March 2015. His photos are very moving and in the film he put together, we meet fighters from different units of the PKK and YPG/YPJ. Well worth a watch. Guerrilla Fighters of Kurdistan from Joey L on Vimeo. Turkey’s support for ISIS has been well documented by various sources, and a wealth of evidence is available which corroborates claims from Kurdish fighters that ISIS troops are being convoyed across the turkish-Syrian border and been provided munitions and other arms. David Philips, researcher at Columbia University, wrote a research paper in September 2014 at the onset of the ISIS siege on Kobane which details Turkey’s links with ISIS. Rick Sterling also penned a piece which provides useful information on Turkey’s support for war in Syria. The KJB (Koma Jinên Bilind, translated as the High Women’s Council) is an umbrella organization of Kurdish women’s organisations. Their website features an article, The Kurdistan Women’s Liberation Movement for a Universal Women’s Struggle, which explains the history and expansion of the Kurdish women’s movement. Abdullah Ocalan’s booklet, Liberating Life: Women’s Revolution is available as a pdf and is an essential read. Here he analyses the centrality of women’s liberation from patriarchy in the struggle for a fully liberated society. VIDEO: Dilar Dirik, Stateless Democracy: How the Kurdish Women Movement Liberated Democracy from the State (Paper given at the New World Summit in Brussels, 21 October 2014). New World Summit Brussels- Dilar Dirik from New World Summit on Vimeo. Kobane: the struggle of Kurdish women against Islamic State is a useful article published in Open Democracy in October 2014 on the involvement of Kurdish women in the liberation of Rojava and the fight against ISIS. Margaret Owen reports back following her visit to Rojava in December 2013. Her article, Gender, justice and an emerging nation: My impressions of Rojava, was published in Ceasefire Magazine soon afterwards. Mary Davis, trade unionist and academic, spent 10 days visiting women’s groups in northern Kurdistan (Turkey) in July 2012 as part of a delegation organised by CENI. Dilar Dirik’s 29 October article for Al Jazeera, Western fascination with ‘badass’ Kurdish women, goes beyond the western media’s orientalising narrative of Kurdish women fighters in the YPJ to examine the history of women resistance fighters and their place in the PKK. CENI – Kurdish Women’s Office for Peace, based in Germany, released this Dossier on the Assassination of Three Female Kurdish Politicians in Paris following the assassination of Sakine Cansiz, an icon of the Kurdish struggle for liberation, and two more of her activist colleagues. They were killed in broad daylight in the centre of Paris in early January 2013, just weeks after peace talks between the Turkish government and the PKK were announced. A list of useful books can be found here at Peace in Kurdistan Campaign’s Useful Reading page.